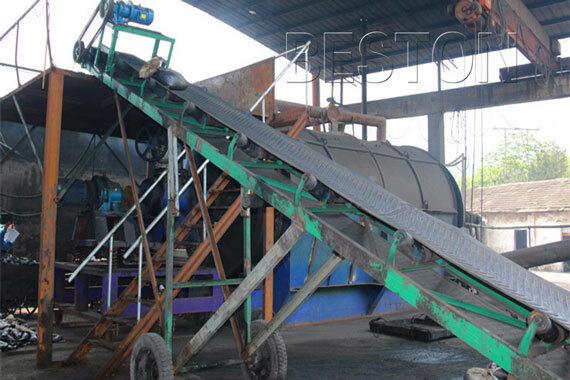 The oil sludge treatment plant adopts the advanced pyrolysis technology. Finally, we can get pyrolysis oil, solids and water. As the main end-product, pyrolysis oil has a wide application. It can be used as industrial fuel materials for burning, or further refined to diesel or gasoline and then can be used in low speed engines and generators. The other two end-products also can be discharged without any pollution to the environment. 1. The screw conveyor is fully enclosed during the pyrolysis process and has a small feeding inlet, so the gas will not leak and danger can be avoided. 2. The plant is equipped with safety device (alarm for over temperature and pressure, auto pressure releasing system, extra gas recycling system, fire fighting devices), which will guarantee safety in the production. 1. We use latest heating method, which can not only save fuel but also strengthen service life of the reactor. 2. The exhaust gas will be recycled to heat the reactor as fuel, which will save energy for the whole working process. 1. In the dedusting system, three specifically designed steps are used to dedust the hot smoke,which can make sure the released smoke is clean. 2. 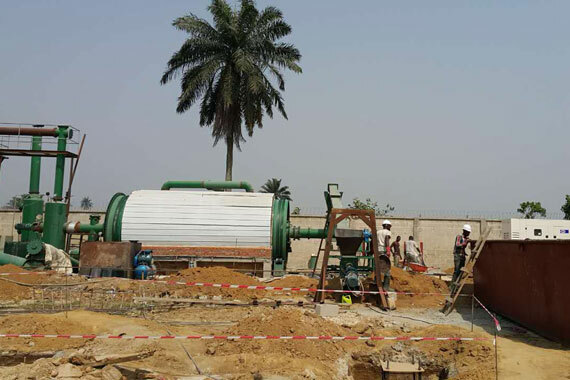 Being equipped with advanced dedusting system (dust chemical removing tank, ceramic ring filtering system and alkali sprayers) guarantees no pollution in the pyrolysis process. 1. The heat exchange speed is 5-7 times faster than the traditional equipment, which achieves higher heating efficiency. 2. The catalyst we use is composed of 24 kinds of chemicals, which can speed up the pyrolysis process and improve the quality of final oil.